Majesty is going to be such a very happy bunny this Christmas. Rihanna did some shopping for her little cousin at Toys R' Us yesterday. 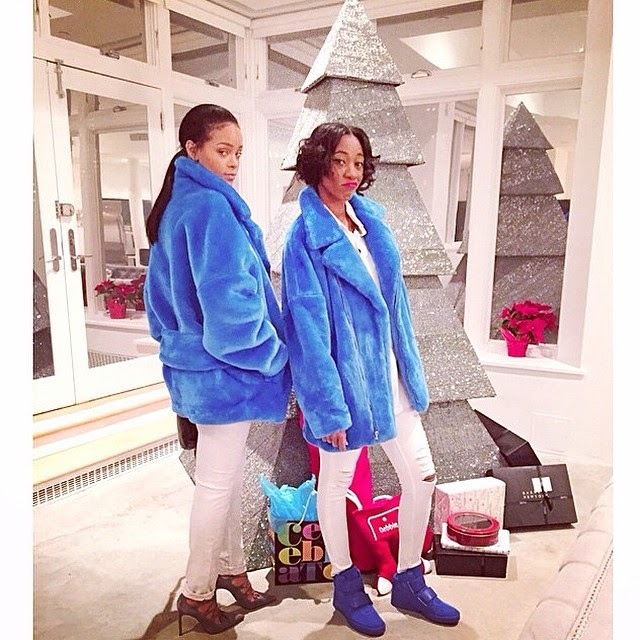 Rihanna's blue jacket is so fierce! I love it. Ri is going to spoil Majesty rotten. She caused quite a commotion when people realised she was there. It must be so cool being that age and having a cousin like Rihanna.Though, not always so cool to be Rihanna when all you want to do is shop in peace.